Rotoscoping is one of the oldest animation techniques invented by Max Fleischer in 1914. In Rotoscoping, live action video is traced to create animation that mimics live action. Rotoscoping involves creating animated shapes which are used to isolate or mark elements in footage, such as characters, vehicles, buildings etc. This method of creating selections allows the artist to perform specific operations like color correction, effects etc. on these elements. Rotoscoping is a process in which animators used to capture realistic human movement by drawing over film footage of live actors for using it in animated films. The action is traced just to get the lines needed to capture the image, attempting to keep consistent line work from frame to frame while following the live action video's motion. These lines are then transferred to cells and painted as in normal traditional animation. Earlier, recorded live action film images were projected onto a glass panel that was frosted where an animator would redraw them. The associated projector or animation stand is called the Rotoscope. During 1990's, projectors were replaced by computers and computer-based rotoscopying was done with a software called Colorburst, which is an image editing tool like Photoshop. In Rotoscoping, the interesting fact is that the reality of live-action and the fantasy of animation do not meet; they only overlap and ingrain in its fabric. The primary function of Rotoscoping is to utilise the double identity created by experiencing live-action and animation simultaneously. Rotoscoping is a lot like animation and is one of the most time-consuming work. Aided by motion tracking and onion-skinning software, rotoscoping is often used as a tool for visual effects in live-action movies. Though blue and green screen techniques have become the preferred choice for the process of layering subjects in scenes, rotoscoping still plays a major role in visual effects imagery. In the VFX industry, the term Rotoscoping refers to the technique of manually creating a matte (clear area) for an element on a live-action plate, so it may be composited over another background. Rotoscoping is the first step in the process of converting conventional films into Stereo 3D. The roto artists trace the areas of live action frames where computer graphics will overlap or interact with live images. They could get very realistic movements by tracing over the actor in the scene. The artist will need to create different shapes around an object and animate those shapes to match the movement on each frame. They trace the object using a set of tools within the compositing software to create a new alpha channel for a specific part of an image sequence or video. This creates clear areas (mattes) within the frame to allow all elements of the scene to be layered convincingly. Rotoscoping software works using splines, which are a series of points connected by a line or curve. These splines are adjusted from frame to frame, so that they continue to conform to whatever shape the artist is tracing. Depending on the complexity of the shot, the process of rotoscoping can take hours or even days to complete. Rotoscope output can have slight deviations from the true line that differs from frame to frame, which when animated cause the animated line to shake unnaturally, or "boil". Painting Effects - generally used to quickly add new elements to a scene. 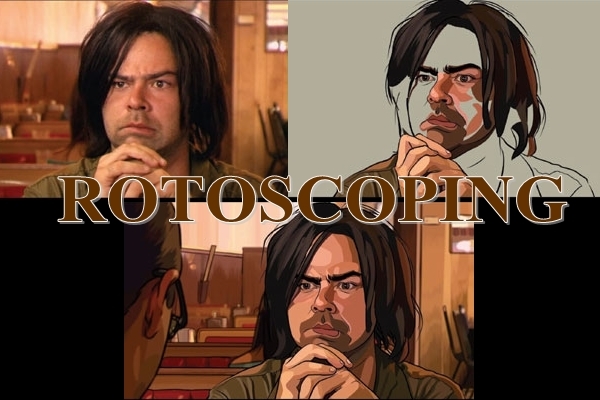 RRotoscoping is considered as an entry-level position in the field of visual effects. One requires a great deal of education and experience to be a Rotoscoper alias Rotoscoping/ roto artists. Knowledge of rotoscoping is a fundamental element for those who aspire for an animation and designing career. Most institutes taught rotoscoping along with animation, design, illustration, painting, drawing courses. Only few institutes are offering certificate course in rotoscoping which is of 3 months duration. The minimum prerequisite for applying is 10th pass. Rotoscoping courses cover all the essential elements of Rotoscope node, focusing not only on the software but also the needed rotoscope techniques to create great mattes. Through these courses, students learn how to prep, align, light, shoot, edit and output professional style 3D. Acquiring adequate knowledge in programs like Adobe Photoshop, Silhouette FX, Imagineer’s Mocha, Adobe After Effects, Flame/ Smoke, Digital Fusion, Nuke etc. will be beneficial for aspiring candidates. A good roto artist needs to know how to motion track in order to perform better concealing. The artists need to be up-to-date on the latest animation advancements, as well as being skillful with precise drawing and painting required for tracing live action sequences. They must be methodical, thorough and patient, with a good eye for detail. They must have good communication and team-working skills. Opportunities for roto artists exist in the field of production houses and creative boutiques on projects that combine live action and computer graphics. The fundamental duties of a rotoscope artist is to trace over live-action movements on film, to create more realistic and fluid animation. They create detailed digital mattes with 2-D image processing and drawing tools; the mattes are then used to remove wires, rigs, and other unwanted elements, as well as to make background fixes and extractions. While working for big projects, they assist compositors, who are responsible for constructing the final image by combining layers of previously-created material. A rotoscope artist / rotoscoper can start off his/ her career with a payscale between Rs. 7,500 to Rs. 12,000. With experience they can take home anywhere between Rs. 20,000 to Rs. 40,000 within a short span of time. Depending on the project and the production studio, more experienced persons can expect a lumpsum amount between Rs. 50,000 - Rs 1 lakh or more.